It's been a whole week since I've blogged - BAD Lindsey! But I have something here to start the week off bright. 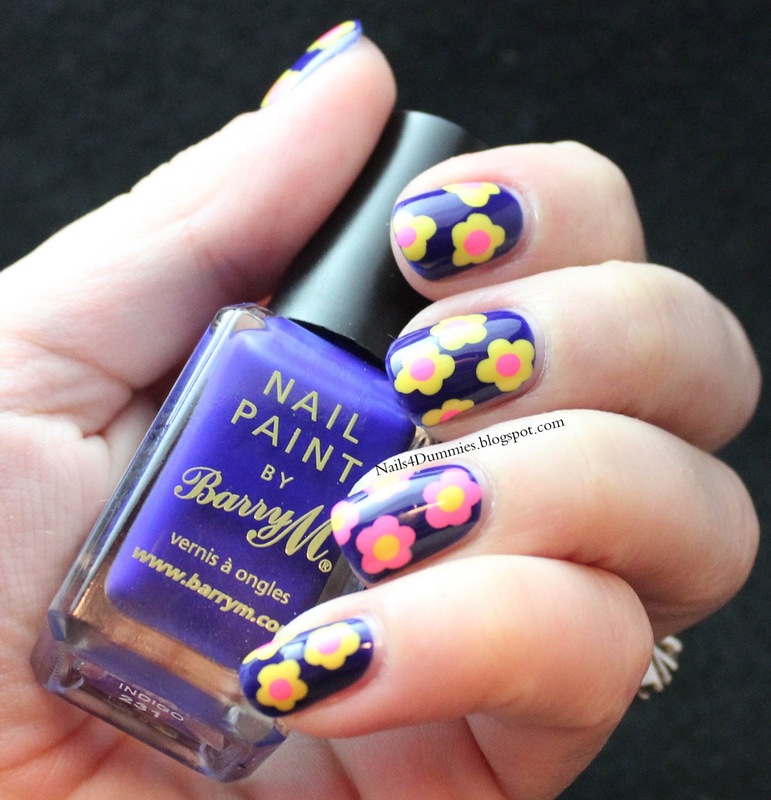 No, that's not a typo - this mani is bright and bold! 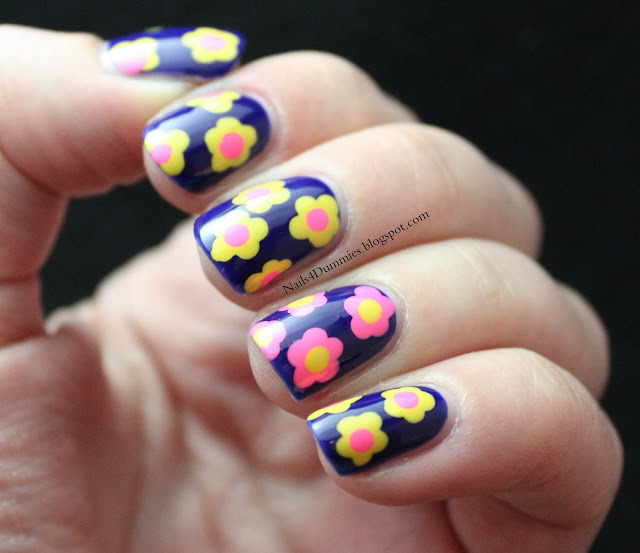 I decided to try out the dot flowers that I learned how to do in a video tutorial by Nicole from Young Wild and Polished! You can find that tutorial HERE! I'm terrible at picking colors to go together for a man but I really like how this combo turned out! The base is two coats of Barry M - Indigo. This polish is one of my top 12 in my stash. I did a vid about my favorites on my YouTube channel and you can watch that baby here! Warning - the video is over 11 minutes long because I love to talk! The flowers were done with Sinful Colors - 24/7 and Avon Nailwear Pro+ - Sunshine. What do you think - do you like them, do you?? Hopefully I will see you again on Wednesday, barring any disaster - God forbid! your flowers are so dang perfect! i'm jealous!!! !love them!! So cute! I like the colours together, your work is always so clean! This is very cute! 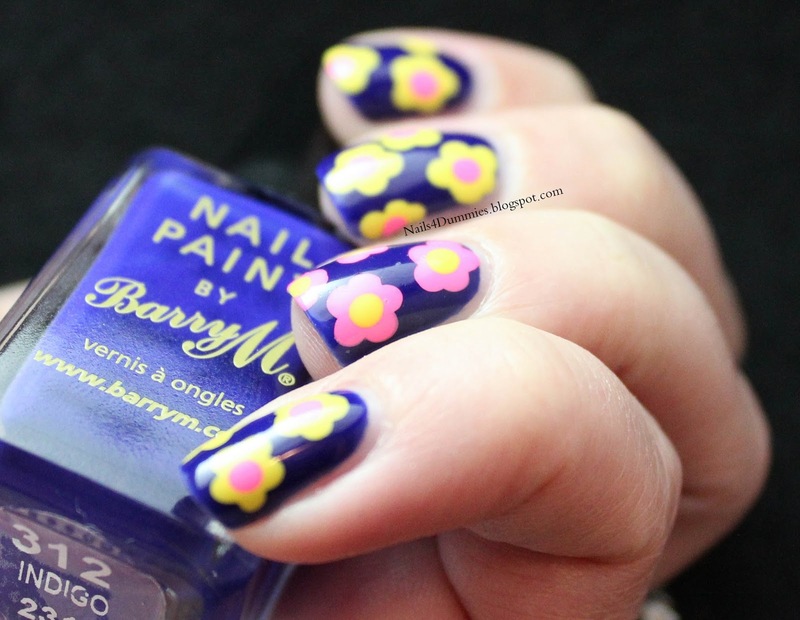 And I love Barry M's Indigo also! It's a fabulous colour!